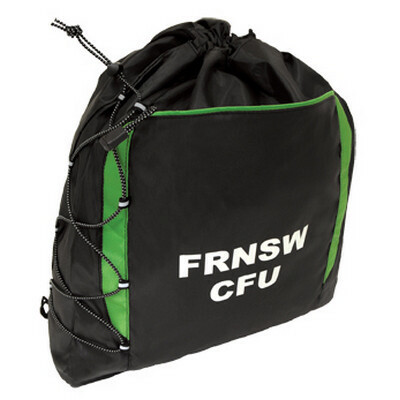 Drawstring closure, One large front zipper pocket, Elastic cord and toggle design on left hand side, V-Gusset with bottom width of 12cm Cords for use as over shoulder or backpack style carryingProduct Materials: 210 denier nylon and textured nylon. Item Size: 36cm (W) x 36cm (H) x 12cm (D). Colours: BlackEmerald, BlackAqua, BlackRed.